The events listed below are free and open to the public. 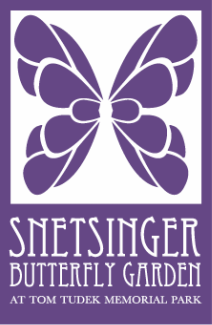 All take place at the Snetsinger Butterfly Garden. Tour guides will greet attendees at the Tudek Park parking lot near the restrooms and at the kiosk that is situated within the habitat itself. White-Crowned Sparrow on sunflower head. Wikimedia Commons. These sessions provide an accessible, child-friendly introduction to the Demonstration Gardens. Smell aromatic bee balm, watch birds flit in the brush fence, see how bees find a place to nest. Learn how to garden to support our native pollinators, butterflies, and birds. Come to both sessions -- the garden is never the same twice! Audience: Children ages 6-12 accompanied by an adult. Discover your inner scientist! Come explore the habitat as we discover plant families, hunt for caterpillars and other insects, and complete a mini bio blitz. We'll keep track of what we find and add the data to our list of species. Discover the SBG firsthand by practicing skills that scientists use in the field! Each child will be provided with a collection kit and field journal. Audience: Children ages 6-12 accompanied by an adult. To ensure a safe and enjoyable Discovery Day, please wear close toed shoes. A hat and water bottle are also recommended. Smartphone cameras are also helpful for recording our findings. Although the program is free, we can only accommodate a limited number of participants - please RSVP by July 30th.